Cool and quilted, this stunning modern stool has a diminutive profile that speaks volumes about style. With its sumptuous quilted leatherette seat and backrest, chromed steel frame and polished stainless steel base, this adjustable stool delivers with a sassy swivel and easy to alter up and down variability activated by a one-touch gas lift. So saddle up to your bar - and stay awhile! 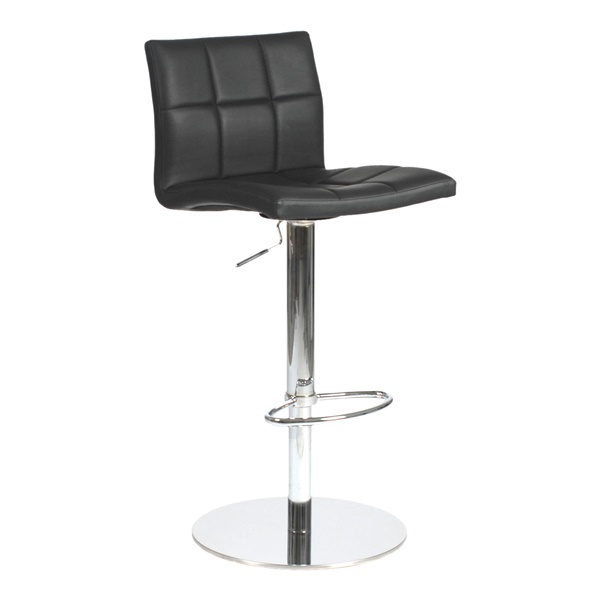 The Cyd Bar/Counter Stool has a weight limit of 250 lbs.